Once upon a time, bachelorettes binging on Tito's and dragging oversized luggage in hungover droves was all we had to worry about around these parts. This weekend a different beast altogether has descended over Nashville, replete with an army of Birds swooping over city streets like a reconnaissance mission from honky tonk hell. Yes, the stage is set for a monster weekend downtown. I might recommend staying clear. Dodge the draft and drop by the shop for a taste of Fords Gin. Simon Ford is posting up from 5-6:30pm this evening, pouring Officer's Reserve in addition to the flagship bottle. Simon was recently featured in Imbibe Magazine where he describes the process of "reverse engineering" that led to the juniper-forward, classically-styled spirit he produces. Not to be overshadowed by Friday's tasting, Saturday is Sarah & Jami's last day at WWM. We're losing two staples at the shop, and even though they are each moving on to do exciting things in the world, they will certainly be missed. The Saturday tasting is a great opportunity to drop in and say goodbye. Jami is pouring two natural reds imported from France by Fifi. Additionally, she's got free rein to crack open whatever her heart desires to share with you fine folks. Just look at the color of the Koppitsch Rosza! Our aim is true this weekend - we're pouring vibrant, invigorating, chillable quaff. All four bottles are new to the shop as of this week, and they span the likes of France, Germany, Austria & Italy as their respective birthplace. It's a cross section of old-world regions meeting - aye, crushing! - present-day demand & expectation. A little taste of European Enlightenment. Heads up! We'll be closed Easter Sunday, April 21. Operating regular hours Saturday & Monday. Pax Wines is a vineyard-focused project that sustainably produces site-specific wines expressive of place, poppin' California fruit & rustic affinity for France. Initially tapping into the potential of the syrah grape in Sonoma & Mendocino, Pax & Pam Mahle's winemaking process is holistic, responsible - no chemicals are used in the vineyards, all grapes are hand or foot crushed, and fermentation occurs naturally without the addition of commercial yeasts. Presently the Mahles work with an array of French varieties, and in addition to the North Coast Syrah, this weekend we're opening the Trousseau Gris & Valdiguié. We got to sample all three earlier this week and were very impressed with their structure & individual character. The trousseau gris was creamy yet high-toned with musky melon fruit and great drive. Reminiscent of Cru Beaujolais, the valdiguié had nervy, snappy red fruit & mineral firmness. And the syrah was unbelievably savory for a new-world wine, with a distinct note of olive brine. With the help of Chilean (French-born) natural winemaker Louis-Antoine Luyt, the Tellez family is producing incredible, terroir-driven wine in Baja California, Mexico. Mexico has a long winemaking history that dates back to the Spanish Conquistadores, but until the arrival of Bichi all that was available in our market were the over-extracted, over-ripe oak bombs reminiscent of '90s California. No more! Bichi is on trend, producing site-specific, well-structured wines with refreshing acidity and funky, earthy, floral notes from the dry-farmed hills of Tecate. Call it Part III of our José Pastor Selections Series if you like. Or just come because you want to taste some awesome wine coming from our neighbors to the south. I am willing Spring. The clocks are skipping an hour ahead this weekend. Let's skip right ahead with them, to the cool hillsides of the Alto Adige where Erste + Neue produces bright & zesty müller-thurgau & ruby red schiava. Erste + Neue translates as "first & new," referring to the merger of the area's first co-op with that of a more recent venture. But let's pretend the name is in reference to the first wine of the new season. Cuz seriously, I'm through with winter. Do a dance. Drink some wine. Banhez is a cooperative in Oaxaca that works with 36 families, helping to secure steady work for the farmers by getting their product out to markets like ours. Founder Francisco Javier Perez Cruz knows what it's like to leave family behind in order to find work - Banhez is an effort to "keep them together, working towards a common goal." 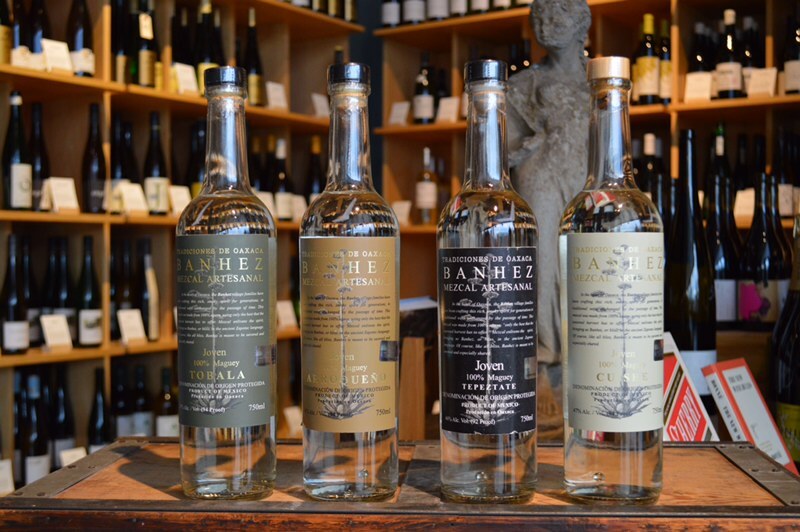 Kate Houser is pouring several mezcal from the Banhez portfolio at the shop tomorrow. Don't miss out on the opportunity to try single village, family-produced mezcal that express the distinct characteristics of agave variety & terroir. In an amphitheater facing the Mediterranean, just beyond the outskirts of Barcelona, the vines of Alta Alella bask in the Spanish sun. The winery is family-run and organically farmed, producing "transparent wines that reflect soil and vintage characteristics." Run by Josep Maria Pujol-Busquets, Cristina Guillén, and their daughters, Mireia & Georgina, Celler De Les Aus (The Bird's Winery) is the first from DO Cava to produce with no added sulfur. The former assistant winemaker and current brand ambassador, Laura Bret, intimated during her visit to the shop Wednesday morning that the family is dedicated to organic farming, but it's not the certification that really matters - it's the work done in the fields that counts. Cleverly, she stated that they don't care about biodynamic certification, because they "produce dynamically." There is so much attention to detail in the vineyards that the juice doesn't require tampering or synthetic manipulation. Laura is dropping by again this evening from 5-6:30pm to share the wines of Celler De Les Aus. They are a brilliant sparkling & still white made from the pansa blanca grape (xarel-lo) and an edgy, pure red made from mataró (monastrell). The wines are named after the birds of the Serralada de Marina's Natural Park, where the vines are located, and they make an exemplary addition to our current sojourn in Spain. A few weeks ago we featured two wines from Envínate, an Atlantic-inflected red & white from Spain imported by José Pastor Selections. 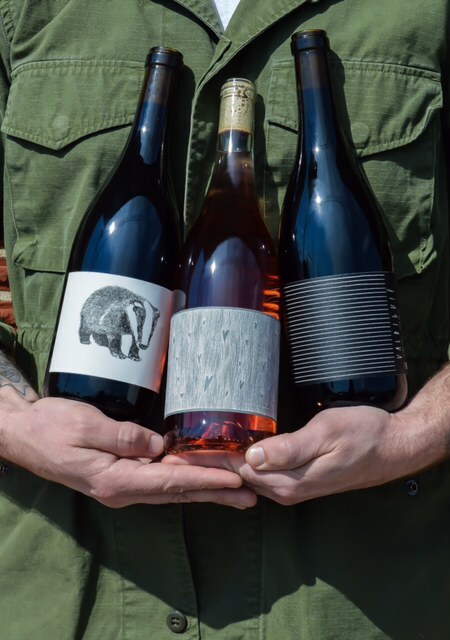 Last week we received several new labels from the portfolio, whose "winemakers emphasize Iberia's indigenous grape varieties and, above all else, work with their land to handcraft honest wines with a sense of place." We're showcasing the new arrivals in a 2-Part Tasting. Saturday, February 23 we're opening two whites and two reds from the portfolio, vibrant wines that express passionate work in the vineyards - severe pruning & vigorous sorting. These wines are a world away from the over-extracted bruisers of Spanish yore. They're structured & lively with snappy fruit, zest & great minerality. Stayed tuned next week for Part 2 when we feature four more from the portfolio! What makes full-bodied wines from southern France more interesting to me than the rich, lush reds of the new world is the acidity. It gives the wine liveliness up front and structure all the way through. In the case of La Pinède by Domaine La Tour Vieille, the old-world acidity that entices up front is reminiscent of brambly raspberry & blueberry fruit. The wine fills out into richer notes of chocolate covered cherries, but the acid holds on. It's coating yet it tickles a little. In addition to La Tour Vieille, we're opening a chardonnay from Mâcon Farges, Burgundy, and a merlot from the Fronsac of Bordeaux. The Bordeaux is an exceptionally good value at $25. Obrigado means Thank You, but we should be thanking Rui Abecassis, founder of Obrigado Vinhos, for bringing us Portuguese wines of "quality, authenticity and value." Fortunately, we'll have our chance. Rui is stopping by the shop this evening between 5-6:30pm for a special in-store tasting, sharing four bottles from his revealing & expressive portfolio. Until recently, Portugal has been known by the rest of the wine world for its fortified Port and simple, refreshing Vinho Verde. Thanks to importers like Obrigado, the rest of us are finally getting a taste for the vivid wines and surprisingly diverse range of regions that the small country has to offer. I'm especially excited to try the MJC Colares Branco, a golden, waxy bottle of malvasia from Europe's westernmost appellation that's bottle aged for nearly a decade before release. Read more about Rui Abecassis & Obrigado Vinhos. Andrew Tow, founder of The Withers Winery, stopped by the shop last week and tasted us on his current releases. We were already familiar with his love for understated, harmonious wines, and we were excited to see what the new vintage would bring. To our surprise, the first wine we tried was last year's rosé. 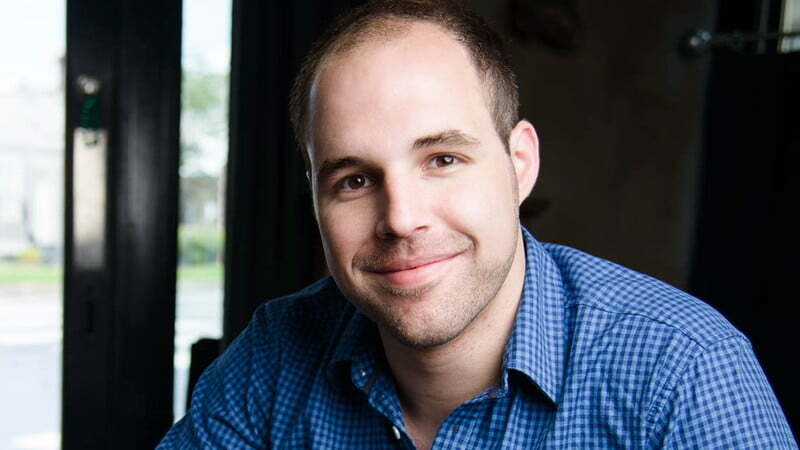 Andrew held onto several cases because he was convinced that the wine would benefit from nearly a year of bottle age, and he didn't want it to all get drunk before people had a chance to try it at its peak. Once laser sharp like a young rosé from Bandol, the fruit had matured into fragrant & mellow cantaloupe, apricot. I was game. In addition to the rosé, we picked up a bright & refreshing counoise marked by strawberry fruit & earthy herbal notes and a red blend of mourvèdre & syrah with spice, earth & red fruit. We're opening all three on Saturday. "We named our winery in the spirit of striving for heights in every aspect of our operation and as as tribute to Mr. Burgess, the Irish Connemara pony who has been a member of our extended family for almost 15 years." Click here to read what they care about over at The Withers Winery. Tasting: Huge Super Bowl Wines! Superlatives aside, I'm excited to share a couple wines from one of the latest portfolios to arrive in our market. Founded by Matt Mollo, SelectioNaturel is "dedicated to selecting and importing small production, naturally and traditionally made wines." Matt is passionate about his work. The quality & responsible production of the wine he's bringing in reflect his love for the people & places whence it comes. By importing small-production, natural wine, he feels he's sharing a story of family, tradition & locale. We're opening liter bottles this weekend, supplying plenty of juice to continue that story. The wines are energetic & refreshing, encouraging sip after sip for an elevated Super Bowl experience. In addition to the E! wines we're popping a sangiovese that pairs perfectly with chili. It's quaffable quality in abundance. When the last bottle of Gros 'Noré Rosé left the building last spring I reached from my knees and cried in despair, "Then we'll never see you again?" And out of the æther a whispered reassurance, checking my adolescence: "Never is a long time, Kevin." Actually, I've been watching Westerns. Nonetheless, The Gros 'Noré has returned. And at a ridiculous price. In celebration of the rejoinder we're cracking a bottle this Saturday, completing a provocative tasting of classic French wine. In addition to the Provençal rosé, we're opening Clos la Coutale Cahors & Jean Foillard Beaujolais-Villages, two reds that keep me coming back every time. You may have heard of the Gang of Four, the Kermit Lynch coined posse of winemakers who determined to return to traditional winemaking practices in Beaujolais in the early 80s. But have you heard of Jules Chauvet, who inspired the four, especially Foillard, to go back? Click Here to nerd out to an article about the father of natural French wine. I’m all for New Year’s Resolutions. I made like eight. But let’s be real, none of them concerned the consumption of natural French wine. Or, to be more precise, I never intended to quit wine altogether for a month. Dry out. Instead I’ve resolved to drink responsibly in 2019, more intentionally. In addition to watching intake, that means drinking wine that’s produced responsibly, without the use of herbicides or pesticides in the vineyard, without unnecessary manipulation in the cellar. Drop by and drink responsibly with us. We're opening bottles from Eric Texier & Domaine du Mortier. Unlike flossing, it'll be fun. But you ought to keep flossing, too. Envínate (translation: wine yourself) is a collaborative effort to produce site specific wines with Atlantic influenced tone & acidity. Founded by four college friends who met while studying enology at the University of Miguel Hernandez in Alicante, the Envínate lineup is profound & pure. Benje Blanco & Tinto come from the steep, volcanic slopes of Tenerife in the Canary Islands. The Listan Blanco is complex and layered with orchard & citrus fruits, a nutty note & lively acidity wrapped in smokey salinity. Also layered & complex, the tinto is delicate but dense with red & black fruits, peppercorns, violets & racy acidity. To read more about the project, check out the José Pastor Selections website by Clicking Here. If you haven't figured it out by now, our Saturday tasting the weekend before Thanksgiving is not to be missed. We up the ante year after year, poppin' bubs, poppin' Beaujo. This year, in addition to store favorites J. Lassalle & Lapierre, were opening a super fun cider from Norther France by producer Domaine J. Cecillon. Produced from ancient varieties of apples from select orchards in Bretagne, the Nantosuelta (Valley of the Sun), with its rich amber color and notes of white flowers, candied fruit, & caramel, is a perfect way to kick of the festivities. And from there moving onto Champagne proper and one of the biggest names in Beaujolais... whether you're looking for Thanksgiving pairings or simply an opportunity to try some of our favorite wines, drop on by. If you reserved a Turkey Tote or two or some of our Elijah Craig Private Select, our Saturday tasting would be a great excuse to swing through and pick up your order. A couple years ago Blackberry Farm emerged as one of my favorite domestic breweries. Their Classic Saison, inoculated with the same strain of yeast that gets Saison Dupont going, is the closest thing to the Belgian original that I've tasted from the States. It's not completely derivative, however, expressing its own locality with fresh peppery spice & tart edges. Hitting the market in 6-pack can format, the Classic Saison, along with Belgian-style ales Fenceline & Boundary Tree, is more accessible than ever. And it's cause to celebrate. Join us for a special in-store tasting Friday 5-6:30pm when Matty Hargrove cracks into the new releases from Blackberry Farm. In addition to the canned line, he'll have the Harvest Ale open, a seasonal cork & cage made from wheat, spelt, oats, & rye. Bruce Russell - grandson of the legendary Jimmy Russell, son of the stoic & steadfast Eddie Russell - is stopping by the shop Wednesday afternoon between 4-6pm for a special in-store Wild Turkey tasting. Eight years ago, Bruce officially joined his father and grandfather at Wild Turkey, where he currently works as the national brand ambassador. He's next in line to take Eddie's position as master distiller. Drop by the shop and hear 3rd-generation Bruce's story. He'll have several bottles of Wild Turkey and Russell's Reserve open. If you reserved a bottle of our Private Select Barrel, this is the perfect opportunity to pick it up and get it signed. 75 miles west of Madrid, Daniel Landi & Fernando García have been scouring the weathered hills of the Sierra de Gredos for legendary parcels of old-vine garnacha. Earning the trust & respect of old timey farmers & local vignerons, they've been on a quest to rediscover an ancient Spain that had been all but forgotten, left in a state of neglect for decades. "Talking to old guys in bars," Daniel reminisced in a New York Times article from May of this year, recounting he and Fernando's search for the fabled parcels. "I found when you drink beer, you find good vineyards." 10 years later the two friends are producing some of Spain's most finessed & nuanced garnacha under the label Comando G. La Bruja de Rozas is floral, chalky & mineral - a world away from the boozy, overripe wines that had defined the region for years. In addition to the collaborative effort, we're opening Daniel Landi's Las Uvas de la Ira, a vivacious & elegant red marked by savory notes & fine tannin. This is one of those tastings that I could only denigrate by adding fluffy language or fanciful turns of phrase. Lapierre & Domaine Vieux Télégraphe are benchmark producers in Beaujolais & Châteauneuf-du-Pape, respectively. Their wines are exquisite and elegant and definitely worth tasting. An original member of the Gang of Four, Marcel Lapierre - along with Guy Breton, Jean-Paul Thévenet & Jean Foillard - spearheaded a movement to return to traditional grape growing & winemaking practices in Beaujolais. We're opening his Morgon tomorrow, a suave & complex red with sappy black cherry fruit & plush, velvety texture. On the other side of Lyon from Beaujolais, planted into the sun-scorched hills of Châteauneuf-du-Pape, the Brunier brothers tend the legendary vineyards at Domaine Vieux Télégraphe. Télégramme is their more accessible release, produced from 20-year-old vines and marked by notes of spice cake, lavendar, & generous red fruit. Tall & broad shouldered with sun-kissed, downcast features, Lionel Faury is the quintessential farmer. He mumbles awkwardly in social settings, the soft-spoken words rendering his presence timid & uncomfortable. In the vineyards he is at home with the earth, patient with the vines, understanding. His wines are among the best to come from Saint-Joseph & Condrieu. On Saturday we're opening four from Faury. It's one of those tastings you definitely don't want to miss. The old vine syrah is deep & dark with savory complexity & peppery spice. His viognier is vibrant & powerful with ginger zest & softer notes of orchard fruit. And we've currently got them knocked down to a great, low price. Many of you have tried the incredibly fun and intensely aromatic & floral Birichino Malvasia (still & pet nat). Tomorrow we're opening their vibrant & high-tone pinot noir. Sourced from the warm yet maritime foothills of the Santa Cruz Mountains, Birichino is vinified with wild yeast and no filtration and layered with notes of pomegranate, sage, thyme. You heard it right, we're leaving the friendly confines of France behind for a weekend. I'm sure I'll feel a moment's separation anxiety, but a glass of wine should clear that up. Is La Boutanche Trollinger red or rosé? We're chilling it either way. From Württemberg producer Knauß, the latest Selection Massale release is a fruity & grippy natural wine with tons of fresh acidity. Andi Knauß is only in his early 30s, but he takes winemaking very seriously. Farming organically, vinifying with indigenous yeasts, and adding minimal sulfites at bottling, he's a pioneer in German natural winemaking. Mad eszett props. Tomato Art Fest delivered on all fronts last weekend. Foot traffic was bananas, the Nashville & Franklin School of Rock lived up to its name, and it was hot as a seatbelt buckle under the summer sun. I'm already looking forward to next year. But let's remain in the present for a moment. We've got a tasting this weekend that promises, if not hoards of melting zythophiles, at least some stellar gamay. Les Capriades is a pet-nat from the Loire Valley. Vinified slightly off-dry with fine bubbles & sleek acidity, la Bulle Rouge is the result of refined winemaking & meticulous attention to detail. Down from the Côte-de-Brouilly of southern Beaujolais, Chanrion is juicy & vivacious with notes of black tea and old-vine complexity. Nicole, who manages all aspects of the domaine, was elected president of the appellation in 2000. It's not everyday you get to taste 14-year-old wine. Most of the bottles we champion are bright & fresh - characteristics of youth. Tomorrow, however, we're opening a bottle of 2004 Château de Bellevue that shows the elegant signs of aging. Mellow fruit, herbaceous undertones. Château de Bellevue is situated on clay & limestone soils in Lussac, a satellite site of Saint-Emilion on the right bank of Bordeaux. Vines are over 40 years old, only native yeasts are used to start fermentation, and wines are aged two years in subterranean cellars before bottling. Mineral to the core, the 2004 is firm and full bodied with muddy purple fruit and grippy tannin. At $22, it's going for a ridiculously low price right now. Get some while supplies last. Considering the cocktail's history & contentious origin story, the Mai Tai is the perfect beverage to tinker around with and riff on. Classically comprised of aged rum, orange curaçao, orgeat, & lime juice (or were Herbsaint & falernum original ingredients? ), the Mai Tai is refreshing & floral with citrus notes of orange & lime. For our Friday Cocktail Hour, Mike Wolf is riffing on the 1944 recipe, calling his concoction the Trader Will. With a splash of Allspice Dram & Batavia-Arrack, the TW adds spicy depth to the invigorating libation. Shaken and served over crushed ice with mint & lime wedge. Join us for another tropical retreat at the shop! When I selected the wines for this weekend's tasting, I completely forgot that I'll be out of town and won't get to try the bottles we open. If I had been thinking cleary, I would have put together something humdrum & lame. Instead I pretty much picked the three wines that I'm most excited to try. Not that I'm complaining about a few days in Cincinnati. I'm most excited for y'all to try the Jean-Paul Thévenet Vieilles Vignes Morgon. One of the OG Gang of Four, Jean-Paul turned back to traditional & natural winemaking practices - away from the mass production by which Beaujolais had made a vapid reputation for itself. The Vieilles Vignes is produced from 70-year-old vines grown in sand & decomposed granite soil. After a long fermentation in concrete cuve, the wine is aged on fine lees in old Burgundy barrels and then bottled without fining or filtration.